Ace Landscapes stocks and supplies a range of quality turfs. Ace Landscape has the largest range and supply of lawn and turf in the Northern Beaches and North Shore of Sydney. 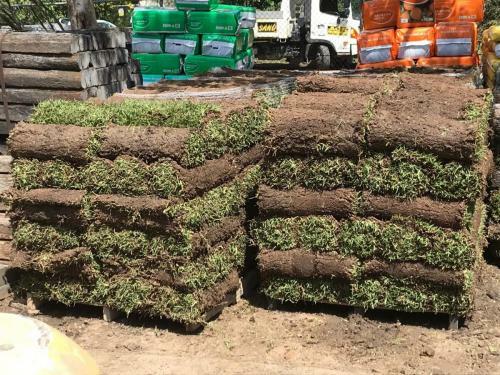 We have a track record of consistently supplying the best quality turf which is a result of sourcing only the healthiest lawn & turf from our various growers. We also have a wide range to suit our client’s diverse needs. 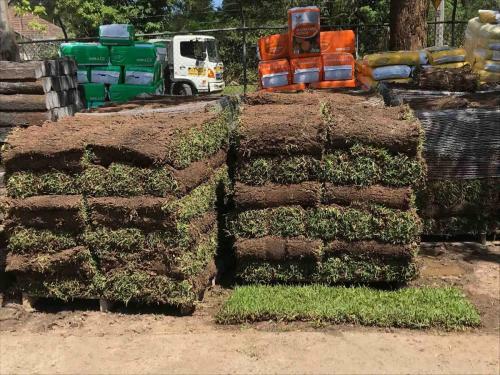 We provide turf supplies in Sydney’s North Shore and Northern Beaches for domestic use, landscapers, gardeners, sports fields, parklands, offices and many more areas. You can pick up your turf from our Belrose yard or we have an extensive truck fleet for lawn and turf delivery (delivery fees may apply). 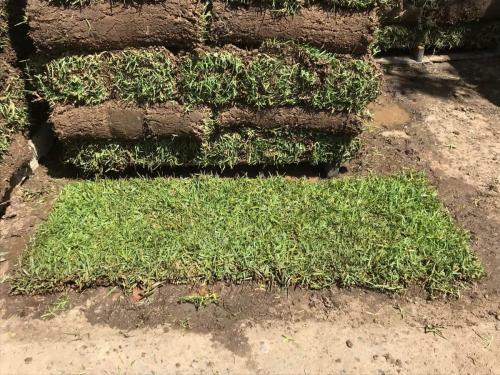 A turf that provides an easy care low maintenance lawn. Similar qualities to Velvet Soft Leaf Buffalo. Have the ability to remain green throughout winter and will tolerate up to 50 % shade. Miniature Soft Leaf Buffalo. The most superior hardwearing shade grass on the market. Compact soft leaf structure, which is 91% shade resistant. A low maintenance lawn that is fungus resistant, hardy and looks great. A deep green and high shade tolerant buffalo (up to 70%). Very hard wearing and slow growing turf that maintains its colour all year round. A miniature soft leaf buffalo. Deep green in colour and stays green all year round. Hard wearing low maintenance turf which tolerates up to 70% shade. The original ‘Shademaster’ Soft Leaf Buffalo. Soft to walk on, fungus disease resistant, 50% shade resistant. 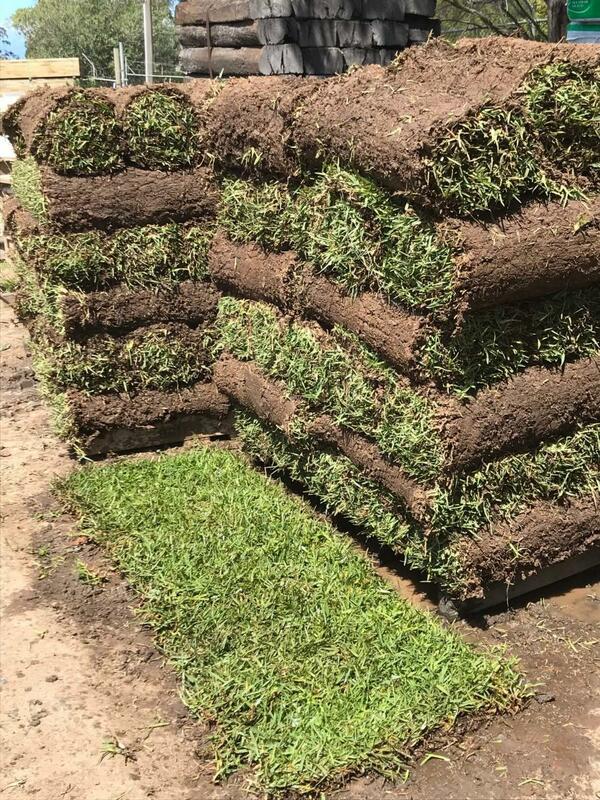 A low maintenance turf which is the hardest wearing grass on the market. Displays a distinctive purple tinge in winter. A vigorous growing and spreading turf, which holds its colour well in most conditions. Commonly used domestically and commercially. This variety will not tolerate excessive shade or dampness and requires frequent mowing in the summer months. The most common couch variety used in Sydney. A hardwearing turf with a fine leaf structure that handles damp areas and looks great. Will require mowing on the higher setting and regular top dressing. About 20-30% shade tolerant. The most attractive of couch lawns. A fine miniature leaf structure that forms a thick matt of grass. Deep olive green in colour. A hardwearing lawn, which is 30 % shade tolerant. Will require regular maintenance. We select the best turf growers with a proven track record in the supply of high quality turf for the long term.